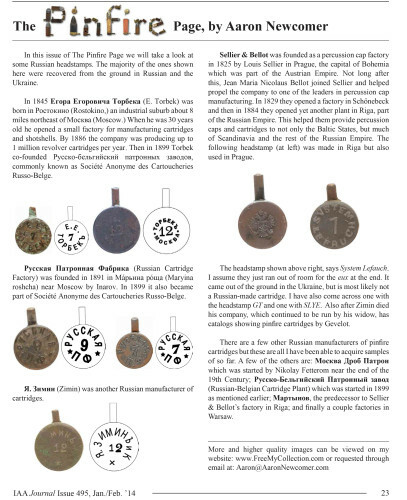 This issue of my Pinfire Page in the IAA Journal was slightly different from normal. Its focus was on some pinfire headstamps rather than the whole cartridge. These cartridges were made by Russian companies and excavated from the ground in the Ukraine and in Russia. They are very uncommon in the United States or even in Russia. I was in contact with some people in these area that excavate various locations searching for military relics. A couple people even gave me some examples for free. They were just happy to spread their finds across the globe to someone who was truly interested. The manufacturers mentioned in this article are: Е. Е. Торбека, Русская Патронная Фабрика, Sellier & Bellot and Я. Зимин. Another neat headstamp that came from this region, but most likely did not originate from there is the following. 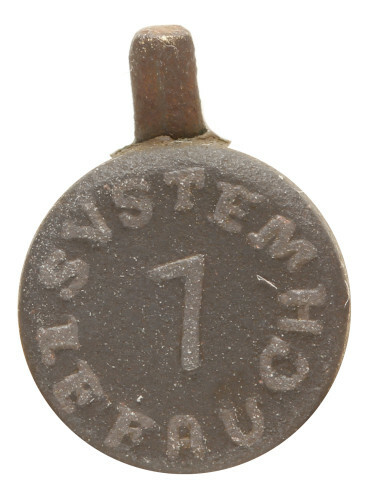 It says System Lefauch. I assume they just ran out of room for the “eux” at the end! 1. Newcomer, Aaron. 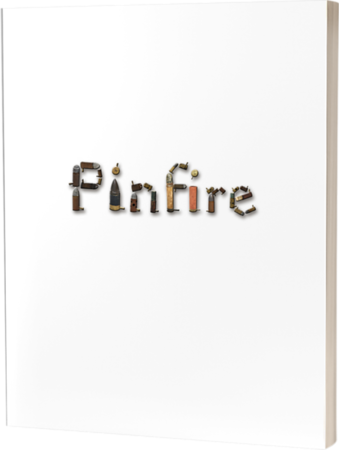 “The Pinfire Page.” International Ammunition Journal. 495 (2014): 23. Print.